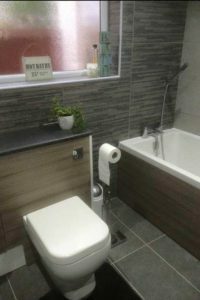 Whether you have a leaking pipe, dripping tap or broken toilet flush that needs repairing, a new appliance to be installed or you want a brand new bathroom or Wet Room, Our plumbers in Clacton have the right solution to meet your plumbing needs. Want to spread the cost No Problem Finance Available! We install a wide range of bathrooms from washrooms, singular toilet and basins right up to bespoke wet rooms/bathrooms. All our installations can be tailored to your own personal style or layout. We also cater for customers who require accessibility adaptations enabling them a better quality of life and enhanced independence. We take a huge amount of pride in all of our work and believe a business is only as good as its last job . Every single job is thoroughly inspected to make sure everything is in full working order before we leave the premises. 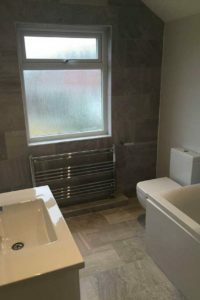 Our team of expert designers and Plumbers in Clacton on Sea are always available to answer any questions you may have about a future bathroom project. Our team of expert plumbers in Clacton will solve every plumbing problem in your home, leaving you with a system that works perfectly.